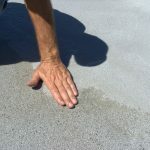 HomePonding Water 101Ponding Water 101Why Did My Flat Roof Develop Low Spots? A flat roof is a roof that is nearly level; it will have a very slight angle to it to allow water to run off. They tend to be the most cost efficient roof shape and are more readily accessible for maintenance. Often, building utilities like air conditioning units are able to be placed atop them. It is possible to use them for additional space for business purposes, utilities, gardens, solar panels, or storage. 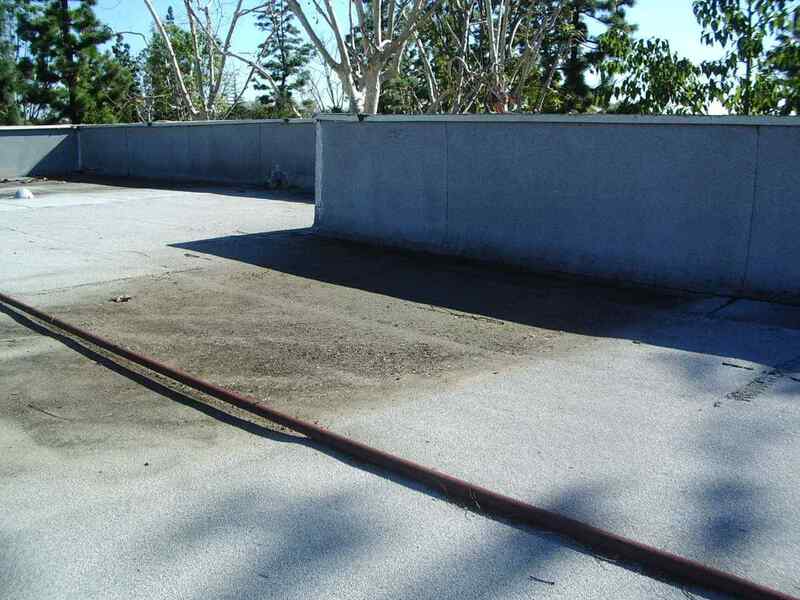 Flat roofs require ongoing maintenance to prevent leaks or deterioration. On common problem is when a roof becomes uneven. 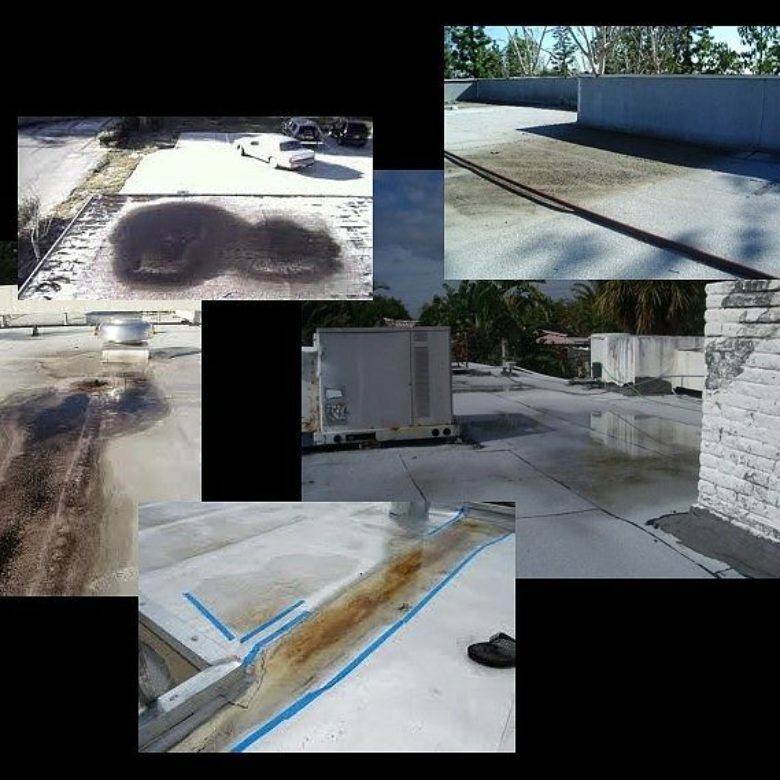 There are different causes of low spots on flat commercial roofs. As a finished building settles, the entire structure can become uneven by a little bit. The amount of settling is determined by things such as firmness of ground and how well the foundation was planned and constructed. Improperly backfilled soil means a lot more settling and more issues caused by the larger changes. While we are more familiar with this from the sounds of floor joists creaking, these changes from building settling are reflected in the roof. With enough settling, a roof that was perfectly flat can develop low spots. To minimize issues with settling, be sure the company that builds your building used correct foundation techniques and quality materials. Sometimes the ground itself shifts. In the case of geological events like earthquakes this can be sudden, but the ground is not a static entity. The weight of a building can make the ground to shift and adjust. Freeze/thaw cycles (frost heave) from winter weather cause the ground to shift over time. This gradually can causes changes in the levelness of the entire building that can make flat roofs develop low spots. Well-built buildings include this in their planning stages. Regular assessment to check whether frost heave has caused issues helps you find and correct any damage before it becomes a serious problem. As the insulation under your flat roof compresses over time or from dampness or weight, the depressed areas inside can lead to low spots on the outside of the roof. To lower the incidence of compression issues, regularly check your roof and insulation for dampness or leaks. 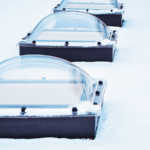 Skylights and rooftop units that don’t include proper drainage structures in their installation, improper construction, use of poor construction materials, poorly installed roofing material leading to leaks, and a variety of other structural issues can cause low spots. Using a reputable building company and regular inspections helps you avoid issues cause by poor construction. Buildings experience wear and tear. Rotten joists and other structural deterioration can also cause a flat roof to develop low spots. These issues vary from mild to severe; be sure to have your building inspected to avoid missing a serious problem. Building materials, including concretes, metals, and roofing composites, expand and contract with temperatures changes. Over time, this can cause low spots on flat roofs. Flat roofs require regular maintenance to keep wear from time from causing issues. Your first sign that your roof has developed low spots is often seeing water pool of your roof. Water pooling causes a variety of serious issues. You need to correct any low spots that start to form before the ponding water starts to cause larger problems. The best way to determine what caused the low spot in your roof is to have it assessed by a reputable, qualified inspector. Flat roofs have an estimated life of 25-30 years now; you get more wear and lasting quality with regular maintenance and with correcting issues as soon as they arise. If there is a structural issue, you’ll need to fix it. Then you can work on making your roof flat again. There are several ways to do this. Roofslope is uniquely suited to bring your roof back to ideal levelness. It easily fills in low spots and helps you achieve the correct slope and drainage. 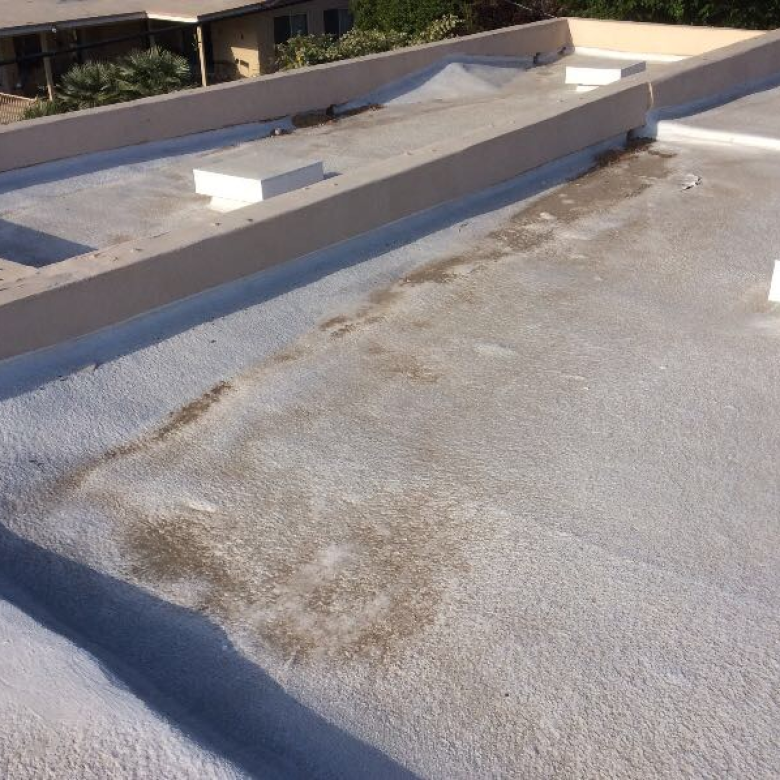 If you correct issues before they have a chance to accumulate, your flat roof will serve your business well for years to come.